Bent Tree, Georgia is a lovely gated 3,500-acre residential and recreational community that prides itself on its resort-like atmosphere. Bent Tree is located just 60 miles north of Atlanta in the beautiful Appalachian Mountains. Nestled inside the mountains, this community is not limited in its capacity. It can support a variety of activities and needs of people looking for homes in Bent Tree, Georgia. Below you will find some tidbits about the Bent Tree Community and what you can expect if you are looking for real estate in Bent Tree. If living in a mountain paradise has ever crossed your mind, Bent Tree, Georgia should definitely be on your radar. Not only is this small community full of life, but it is full of southern, mountain character as well. If you are outdoorsy, you can chart your own path in Bent Tree because outdoor activities are at a premium. If you want to enjoy the great outdoors without interruption, Bent Tree is the place to start and end your home search. In this small, homey community, you will be able to thrive alongside others who want to make this place their vacation escape or lifelong home. Real estate in Bent Tree is alive and well. From mountainside to lakeside homes, Bent Tree has properties for every type of buyer. If you are a new face in Bent Tree, you will be welcomed to the community with open arms and happy hearts. In Bent Tree, you can purchase property to enjoy nature, and at the same time, you’ll discover an active social life with like-minded neighbors. 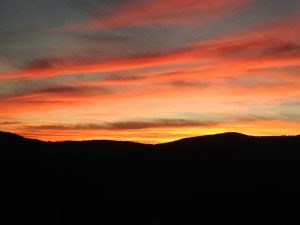 Whether you are seeking an idyllic mountain cabin getaway, or you are empty nesters or families who are ready to relocate full time to Bent Tree, there is a perfect home that awaits you. With the real estate options available in Bent Tree, you will not be disappointed. Once you are settled into your new property in Bent Tree, you will never have a shortage of activities. If you are looking to have some fun in the sun in Bent Tree, check out Lake Tamarack, a 110-acre pristine lake where you can fish, boat, or just relax and tan and picnic on the beach. If you want to get out into nature, consider exploring one of the many hiking trails in Bent Tree. Some of the trails even go right past picturesque waterfalls. If you’re ready to cool off from the blazing summer heat, take a dip in one of Bent Tree’s two swimming pools. If you are a tennis player or a golf lover, Bent Tree offers facilities that are state of the art and ready to accommodate all of your sports and activity interests. The golf course is known to be one of the most beautiful, but challenging courses in North Georgia, where residents may own their own carts and drive them to and from their home to the course. Bent Tree Equestrian, inside the gates, offers riding lessons, boarding, and trail and arena rides. 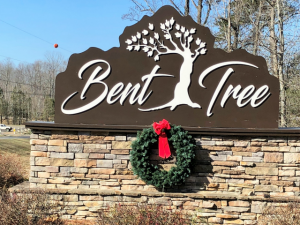 Whatever brings you to look for a home and lifestyle in Bent Tree, you won’t be disappointed, because of all of the activities Bent Tree has to offer and all of the welcoming vibes you will get from the community around you. If you have any questions about real estate in the Bent Tree area, please do not hesitate to reach out. Call me now at 770-608-9150 or email margovallone@tds.net.